The bottle of Vin Jaune (yellow wine) comes from the Eastern Jura and was made from grapes during the reign of King Louis XVI. The three 87cl bottles of Vin Jaune were made by winemaker Anatoile Vercel. 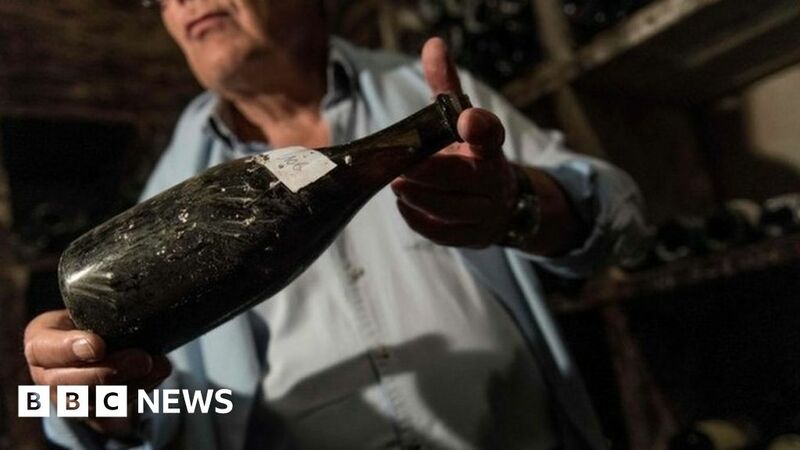 Georgia became the "oldest wine in the world"
Global wine production "at 50-year low"
The buyers were Canadians and someone who bought wine for Americans with connections to France, said the AFP news agency auctioneer Brigitte Fenaux from the auction house Jura Encheres. 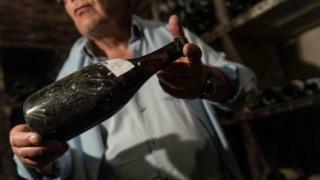 "I did not think these bottles would sell that much, the last record in 2011 was € 57,000," she said. "There were winemakers in the room who applauded those who were happy, that was it's movement." AFP reports that in 1994 a tasting of 24 wine experts rated the wine as 9.4 out of 10.